Prospect with confidence using the most accurate and actionable data on the market. Try today! "Fantastic Fortune 1000 and Alexa 5000 contacts"
DiscoverOrg BY FAR has the best contact information I've ever seen for the biggest companies in the U.S. BY FAR. One time, a senior security staff member was upset with me because I had his direct line. It's a testament to the quality of data you're receiving. Someone who goes to great lengths to remove all information on themselves online still shows up in DiscoverOrg with high-quality data. Very little. I'm very impressed by both the platform and the support at DiscoverOrg. Sometimes the data can be stale, but by no means as stale as the other data providers. The platform can be difficult to navigate and slice/dice data because of the sheer volume of information provided. Once, I had a hard time connecting with the support team and had to wait on hold for a while, but other than that the Support team was very helpful in returning my calls and emails! Be sure to clearly understand your objectives before considering this platform. It's not cheap! We're successfully scaling our Enterprise team because of the data provided. Direct lines. Direct emails. All great data! Our issue with other data providers has been solved (specifically for the Fortune 1000 and Alexa 5000 companies) and our productivity is higher than ever! We've been able to focus our efforts on the Enterprise team on higher-priority accounts. "Short but learning as we go"
"Discover companies not in my CRM"
"Great program with up to date info"
I love the option to see valuable insights on the company to include the technologies their leveraging. It's important for our selling organization to have an idea what their utilizing to date and where- network, applications, CRM etc.. Also the org chart information is very extensive- not only does it show me the executives and their ranking but also routes me to their LinkedIn. Similar companies tab can also help when it comes to identifying competitors. I wish it was more SFDC friendly in terms of integration and sometimes when I go to click on other platforms out of Discover Org it takes awhile to route me there. Within the scoops I was wondering if they could perhaps source where they are extrapolating the articles from and how valid they are because I'm not sure where exactly their coming from- a reputable source? I think overall Discover org has done a good job at progressing their ability to do more with the platform. However, the process to reinstall the program to get more features is intricate- I have to reach out to our DiscoverOrg rep for help more then I feel like I should to make sure I'm getting the most out of my license. DiscoverOrg is the key component to prospecting and obtaining information on certain companies across the globe. The ability to search by region, vertical/industry, employee count or revenue give my team access to a myriad of contacts. It would be helpful to add more of the smaller companies (100+ employees). We work with a lot of start-up's and having access to their contacts would be huge in our prospecting process. The search feature only allows users to choose from whats on their autocomplete, rather than being able to just search and see a list of results. As previously stated, DiscoverOrg provides a myriad of prospecting capabilities. The ability to search using different filters makes the process more streamline and less frustrating. My favorite is search by the company's "technologies", for example "using Hadoop, Elastic, AWS etc." this gives us insight to which specific technologies that segment is using which helps us tailor our messaging. Our company is fortunate enough to have inbound inquiries, yet a sales organization cannot solely rely on these methods. Outbound prospecting is as crucial to gaining leverage within our industry and making sure we proactively reach out to all potential customers. DiscoverOrg gives us the ability to import contacts directly into Salesforce, which saves a lot of time and tedious input. Detailed contact data that is updated on a regular basis. Many other databases have outdated information that proves to be wildly incorrect. We've not had that issue with DiscoverOrg. The scope of companies they research tends to be weighted on the large end. We've been told by our account rep that they prioritize research requests from larger clients like Google which can push our needs to the back of the queue. It's expensive - no question. But if you are struggling to identify company information and contacts quickly and reliably, then DiscoverOrg can be worth the investment. Understand going in that they won't have every company you want, but if you work with your account rep to get your research requests prioritized, you can find a lot of value. Start with a few datasets and grow once you know who you want to be in touch with. The most challenging part of lead gen for us is finding the right people to begin a conversation with. DiscoverOrg does this work for us for the companies they have profiled. "outstanding sales intelligence solution for our outbound efforts"
DiscoverOrg has been a great marketing and sales intelligence solution for myself and the rest of our sales development team. DiscoverOrg has allowed me to accurately identify specific accounts and prospects to outreach to regarding our solution. The solution has significantly impacted my Account-Based Sales/Marketing methodology with access to the right information (intelligence) for my outbound efforts. With the acquisition of RainKing, DiscoverOrg is clearly the leader in the sales intelligence industry and I wouldn't search anywhere else for another solution. There isn't much to dislike with a solution like DiscoverOrg that is focused on enabling sales and marketing teams with the most accurate prospect information. It would be great if they built in a sync with CRMs to identify when accounts and prospects are already within your CRM ecosystem. Phenomenal product for identifying accounts and prospects to outbound to for your services. DiscoverOrg is providing our sales team with access to the most accurate account and prospect data for our outbound efforts in driving meetings and closed business. The solution is certainly increasing our connect rates and interactions with prospects. I love the up to date contact information, the section where it tells you what software the company uses and the selling triggers. If i plan an marketing campaign that is based on targeted accounts that use specific technologies, I can easily find them, export a list of contacts and use an excel sheet to upload into SFDC. If an Account Executive wants a good overview of an account, I can generat a company report that makes it easy for them to understand the innerworking and heiarchy. The solution is feature rich and I learn something new about it on a weekly basis. Always being updated with new features. The tiered system. There are accounts i would like to reach that are out of scope for my licence. Some times accounts are actually big enough in real time but they take a while to update on your end so I miss the bus for a deal. For instance Canopy growth is a billion dolar company but for some reason I can't view their data. Those guys NEED Opentext. There honestly isn't a better lead gen solution that i have discovered yet. It's got all the bells and whistles. You can even e-mail Elon Musk. I mean, come on people just jump on board! We solve enterprise business software solution challenges that help companies work more efficiently. Opentext provides a single data repository for documents that integrates beautifully into today top ERP, HR, Finserv and CRM software. "Unethical & Misleading Company - Expensive Mistake"
I like the IDEA of this company best. It could potentially be a good fit for some companies but certainly is not for us. I also know multiple others that have it thinking they were buying prospecting gold and the value turned out to be far from what was expected. I don't know anybody that has used DiscoverOrg with good results. Very misleading from the first sales person I talked to. I told him exactly what our company does and who we target and he assured me that DiscoverOrg was a perfect fit and had all the contacts we would need. Of course, once I signed my contract, paid the chunk of change and was able to look around, I realized this was not going to be helpful for my company due to the the contacts they had in there. None of the companies we were prospecting were included, and the "Scoops" which were what really made DiscoverOrg seem worthwhile were few and far between, and many of them were outdated. So, when coming up on my 1 year renewal after having spent $15,000 without earning 1 cent back, they told me I was inside of their 60 day auto renewal policy. I understand contracts and the importance of abiding by them, but I think it is extremely unethical to have an auto renew with a 60 day prior to renewal deadline on something with this cost attached to it. I understand having deadlines like this if their can be a vacancy that won't be filled without a timely notice. This is just completely unethical and a terrible business practice. When I tried to cancel, I was told that they would waive my 10% increase if I signed the renewal contract immediately. Now, I see many other people have had the same issues! Wish I had read through customer reviews before purchasing! Make them allow you to look around to make sure there are plenty of scoops that suite your needs and that there are contacts for businesses that would be a good fit for your business. Also, DO NOT get roped into the auto renewal if you want to get out. You have to cancel 60 days ahead of your renewal date. I have realized this was an expensive mistake and there are far better ways to allocate your budget. You can buy more targeted lists with exactly who you want to prospect for FAR less than using DiscoverOrg. "Analisis de oportunidades de mercado y marketing web." Discovered is a tool that allows a deeper analysis of the market, analyzing all the data of the current market, this tool allows us to obtain detailed information of our clients, which allows us to be more competitive compared to other companies that are in our same sector, but do not have a marketing analysis as important as the one we use with this application, with this system we can use more successful marketing campaigns, something that our competitors cannot do, the most significant advantage of this tool is the constant updating of their databases, which provides us with up-to-date information on each of the persons or companies in which we are interested, this helps us to direct the information released, to real contacts, who will receive timely information without going through intermediaries. Something I do not like about this tool, is the lack of information that has companies that are outside the United States or Canada, this system seems to be based only information from these countries, and maybe some information from some countries of the European Union, but the information about companies in Asia or Central America or South America is minimal, and it is not very reliable, normally we work with companies from our country, but sometimes foreign companies that come to look for business partners in America are often involved, so lack that this platform will be to the world, and do not stay alone in North America. An ideal tool to make a correct analysis of marketing and marketing, obtaining specific details of the people or companies in which you are interested. With this system we can obtain clear and detailed information about the people or companies of which we are interested, obtaining completely updated information, which allows us to direct our marketing campaigns directly to the interested parties. "Great Prospecting Software for Marketing & Sales"
This software has many informational fields to create targeted prospect lists based on role, industry, company size by employees or by revenue. Some of the contact data is not as up to date as sold with many people no longer at the company or not tagged as in the right role. In addition, while the software is sold as an "opt in" with permission, it is clear that some contacts are not aware they are on a targeted list. Consider this product if you are looking for ways to jump-start lead generation efforts within marketing and sales. I like how the software allows you to create prospect lists by industry, role and company size. However, be aware that although contacts have opted in to a list, they have not necessarily opted in to your marketing or sales list. We were launching a new brand and had to build a marketing program from scratch - as we didn't have a marketing list or prospect list to start lead generation email marketing efforts. Although we sent quite a few emails to large lists in the beginning, we have realized higher than average email open rates and click throughs, so we are very pleased with the engagement from contacts within the program. "An agile tool for sales development"
Discover.org's software is simple to use. With little to no training a rep can jump in and immediately benefit from their software. I was quickly impressed with their offering, and that was before the training. After the training my brain pretty much exploded with what the tool offered. Would highly recommend to any colleague. My only real gripe thus far (been using the tool for about 2 months) is that after the training where my brain exploded, I wasn't able to use all the cool tools I was shown. They should've started the training make sure we had access to what they were showing us. It took about a week...but my whole team was able to implement what was shown. It cut the time spent in finding contact information for potential clients. After using Discover.org I realized how much time I had been wasting on finding the right person or that said person's info. "Good information but inaccurate locations"
I love that DiscoverOrg gives you a ton of company information, some potential scoops/insights on the company's upcoming projects and validates fairly well that the prospects are still working at the given company. I also love the Advanced Search feature, where you can save an advanced search that's pre-filtered based on titles you like to search for, geography, job functions and more. We have run into NUMEROUS instances where DiscoverOrg lists a prospect as located in California (for example), but they are located elsewhere in the U.S. or even in Europe. We've had several issues with this and it's caused us to step on other offices' toes because we're reaching out to their territory unknowingly. Use DiscoverOrg for everything sales-related for account insights and intelligence, but I recommend verifying from LinkedIn that the prospects listed are truly in the location in which DiscoverOrg has them marked. Other than that, we haven't had many issues with DiscoverOrg and typically always pull a company profile when strategizing about account outreach. The primary way we leverage DiscoverOrg is by gaining insights on companies that won't just be from their website to allow for sales teams to walk into client meetings more prepared. "Large, easy to navigate prospect database "
DiscoverOrg allows me to grow my prospect base with majority accurate information. I'm identifying the correct people at organizations that I should be prospecting to. It also allows me to confirm accounts already in our system have the right contacts we should be reaching out to. The companies and contacts provided. The great deal of information and advanced search. I would love it to show the growth of companies by location. I love that you can break up your search and drive it down to your location specifically. I can grow my contacts within my linkedin. I love how it has a linkedin tool near the contacts name so I'm able to send them a request immediately. It makes my job so much easier each day. That is what I love the most. Easy to use! Sometimes the contact information is incorrect. The phone numbers are for different contacts or main lines. It should just state that it's the main line when they do not have the direct dial info. It can also freeze up from time to time. I'll have to exit out to the program and re-enter after I start my new day. It would be nice to use the search for a certain demographic as well. Maybe small business's, women owned, etc... I would love for it to dive in deeper. Show the growth of business's adding new locations. Location growth. I'm able to grow my business and expand my portfolio using the contact information DiscoverOrg provides. It lets me narrow down a area, location, city, state, town, and more. I'm also able to find out where my contacts have gone when they've left their current job position within their previous organization. The reason we love it is the Ability to uncover scoops and insights along with gathering a better understanding of our clients or future client. By uploading my customer base it alerts me to news for that is specific to them and allows me to build opportunity by knowing more about them. I also like the ability to see like companies and know the data has been verified by the team at Discover. Org. We preach using this tool to every stage an account manager is in, as the information is not static. There was an error that caused me to be locked out, yet was quickly resolved once alerted to my account manager. There was a cost barrier initially, yet we are seeing return based on more use. The amount of data you can uncover from utilizing DiscoverOrg as your BI insight tool can revitalize your customer's experience due to the more meaningful conversation that can be had. Once you make the commitment, the fastest way to ROI is using the tools and getting the entire team involved. Wider base of contacts along with verifying recent transitions. We took some Aged data and leveraged Discover org to help uncover where the data had shifted either from mergers or contacts moving on to new organizations or changes in email structure along with new contacts into a role change. This is one of the biggest challenge as everyone has change we just have to get ahead of it. The auto search for businesses is easy to use and the portal is user friendly. The contact information is usually correct. Exporting a customer list is also easy to do. I use the advanced search options to navigate and get the correct contact information for each one of my regional directors. We have specific advanced searches to contact specific industries. I would have to do this search individually for each company if I didn't have discoverorg and that would take forever. Once I'm in the company directory. If I go into a specific person information, I have to retype my keyword "security" to find the same list of contacts within the company directory. I'm finding more valid contacts than just doing the research by myself. I use the advanced search options to navigate and get the correct contact information for each one of my regional directors. We have specific advanced searches to contact specific industries. I would have to do this search individually for each company if I didn't have discoverorg and that would take forever. This is beneficial because it cuts down on time. If I didn't have discoverorg, I wouldn't know where to go for contact information. I would need to google search each company and cold call each person and work my way up the corporate latter till I found the correct contact. This would take massive amount of time and time is money in my industry. "Great Tool- Very Accurate Data"
Discover provides visibility to a ton of companies and the info available allows you to dive into the details of each business. The majority of the company and employee info is up to date and accurate including emails and phone numbers, which is huge! I have come across some companies that are relatively large in size that have very few contacts in the employee org chart. However, I realize this is all inout and verified by real people and so I am confident they will be updated when available. I would recommend discover org as a tool for any company who is prospecting for B2B sales. The info, org charts, employee contacts and other insight is a huge advantage to sales reps. I am reducing wasted prospecting time. I am able to clearly identify who I want to contact thought the org chart and validate that with the LInkedIn hyperlink directly in Discover. 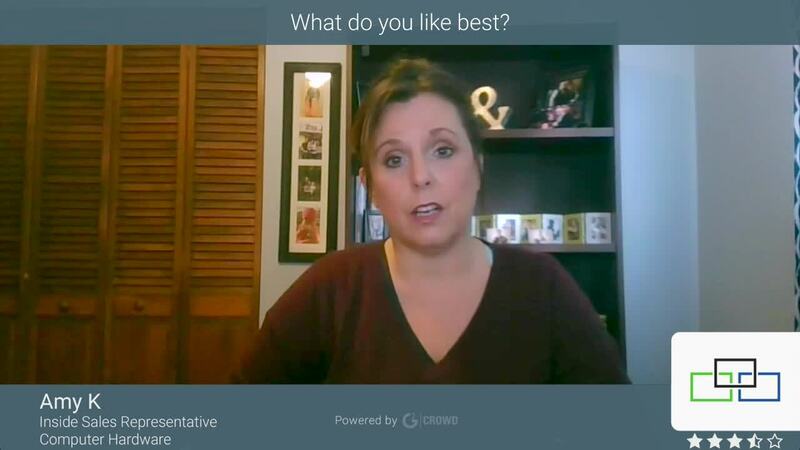 I don't waste time prospecting into irrelevant contacts with this tool and process. Easy to use interface and intuitive use. Tie in to Eloqua is nice. Quick access to LinkedIn profiles directly from DiscoverOrg. The options of fields when exporting a report to excel is very granular, this enhances filtering abilities and the details of a report. The speed of searches and report building. View-able data can be limited based on licenses. Scheduled reports should have option to show newly added data compared to last report. I have a limited territory and I could not find a way to keep my dashboard alerts limited to specific states. I don't want to see news about companies that I am not following or that are not in my territory. We have SalesForce lightning, but our security policy prohibits us from taking advantage of the full integration between DiscoverOrg and SalesForce. A tie in with outlook for notifications or alerts when a followed prospect responds or reaches out would be nice. "Very robust product, not always the easiest to use"
The data is clearly very extensive and I really appreciate the fact that everything is researched by humans as opposed to using various algorithms that may glitch or collect incorrect information. It's great to be able to do a broad search of companies and/or employees and be able to upload the contacts to Salesforce right away, which saves our team a ton of time. The Salesforce integration can sometimes be a bit clunky, and sometimes records will fail their upload for an unknown reason. Some of the data has been incorrect, although not very often. The biggest negative is that, because all records are researched by actual people, a lot of smaller companies are missing from the database. Of course the team needs to be most efficient with their time, but it can be frustrating to be paying for such an expensive tool and not be able to see a large number of companies that we are supposed to be prospecting. While it is an expensive tool, it does seem to be worth it considering how much data we have available to us and we also have access to Scoops, which are insights about current projects/plans at target companies. We have had a lot of success sourcing both emails and phone numbers via DiscoverOrg for outbound prospecting. The Chrome extension is also a very helpful tool, because it can help us find emails and phone numbers on LinkedIn pages that we wouldn't be able to find otherwise. The scoops, opp alerts, org charts, technology insights and deal predict are invaluable to our marketing and sales organization. We are vertical focused so DO filled a massive gap in our intelligence and campaign planning tech that we were in desperate need of. The handoff from sales to CSM was a bit rocky, but we worked through it. We are vertical focused and the parent/child company relationships have given us some limitations on data that we would like to see, but in the end we are able to work with our CSM to get either 1) In App data or 2) data through an excel file. The account reporting dashboards are in process, but would be very helpful as we continue to leverage DO in territory. Does integrate with Hubspot CRM/MAP, which is a bonus for those using those platforms. We use DO to gather account intel, prioritize accounts within territories and build lists for marketing campaigns based on personas. We have also been able to utilize DO data to break into accounts we have been focused on for quite some time but never had the direct dial information - this has proven amazing for our bus dev team. "DiscoverOrg = Harvard | Other Prospecting Apps/Platforms = Community College "
The platform is extremely easy to use, and functionally makes a lot of sense. As you dive deeper into each function and filter, you begin to access more data than you could ever imagine. And I have a serious piece of mind when using this platform, because you can truly tell their backend team puts in a lot of work to ensure the data you're looking for is accurate. It's hard to find anything to dislike. If I had to think of something, i'd say the platform unfortunately isn't for a the beginner marketer or sales person. There's almost too many factors that come into play when you're searching for your data, so if you're really new to the platform I feel as if time spent exploring and learning the features is extremely important. Accurately finding key members of large businesses on DiscoverOrg has made our sales cycle more efficient. Less time is spent trying to get doors open, and more time is spent conversating with the right people to talk to. "Fast prospecting with unreal customer service"
The process of finding and setting up a pipeline of quality prospects has never been easier when using DiscoverOrg, plus their customer care is unreal. If you find information that might be out of date or changes that affect a lead, using their "Fix-it" tool will prompt them to dive into the case you create and come back with a full-length email with additional information, the best person to reach instead and other helpful tips. It's not just a way to fix information, it's like having an extra assistant who then retrieves the next best steps for you. The only thing I would like to see improved on is the search feature that is run through Salesforce. I would like to see the option to jump to any page possible on a search that may have 60+ pages, rather than starting from the beginning and clicking one page at a time, or from the last page backwards. Minor problem that should be easy to fix. Try it out and see the results for yourself. Great support and the data given is hard to beat for any sales organization. Sales has never been easier, finding proper information so as to not annoy or burn potential customers is a crucial part of the system that has made working in sales that much easier. "I think this is a useful product, but I don't necessarily trust all of its information. " The best feature is the integration into SalesForce, which allows me to pull new and updated contact information very easily. I think there are also features that allow you to do this via LinkedIn, but I haven't figured out how to do this. Learning that would make this tool much more important in my day to day work life. Sometimes the information is lacking from an accuracy standpoint, and I end up using LinkedIn to get the job done. I have also had functionality issues with the platform. There are certain functions that have worked for teammates, but not for myself. This makes it hard to fully utilize the platform in the way that I am supposed to. I have also had issues figuring out how to use all of the features, so some training would be useful. Use this as a resource, but not the ultimate source of truth for all of your information. I find the information helpful, but it doesn't contain everything I need and it would be better used as a supplementary tool to another more robust platform. I am solving the issue of having to manually update SalesForce. In this, it has saved me a ton of time. It also allows me to view company hierarchies vey easily. This lets you know who you are targeting, and how they fit within an organization. For sales, this is a useful way to work around contacts who are not friendly. Streamlining all the information from one place. DiscoverOrg integrates perfectly with Salesforce - which significantly reduces time spent entering Prospect and Customer information. It also helps to be able to follow your clients as they move to different companies/positions. 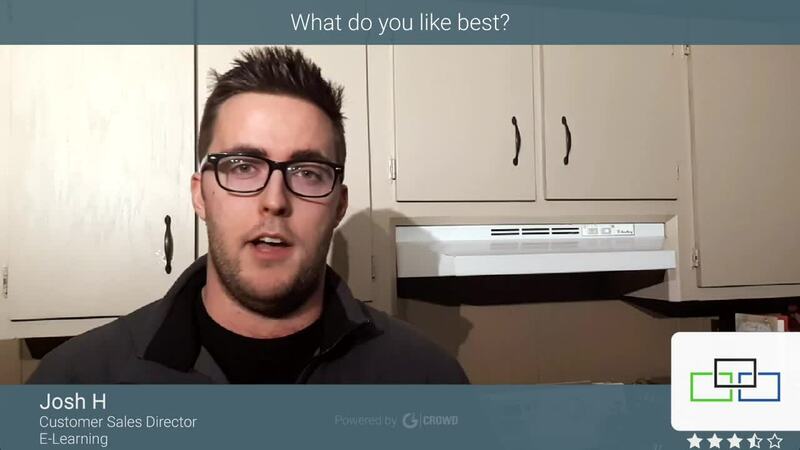 Our team really likes the scoops and alerts to give us another reason to reach out an connect with our customer base. Being able to use the Google Chrome feature is nice when looking across other outlets (for example, LinkedIn) Customer support and on-boarding process is great! We love how accessible the DiscoverOrg representatives are when we have a question. Some smaller companies that are actually a good target for us are not listed. Maybe a reduced cost for additional licences would be helpful for smaller companies like us. If you are in a business of Sales to increase revenue, DiscoverOrg is the best tool on the market for prospecting. Reducing time the sales team spends creating prospecting lists, seamless integration with Salesforce eliminates manual error and keeps information updated, Lower cost than other lead search companies, provides great contact information across multiple platforms. "Solid experience, a few weaknesses"
The comprehensiveness of large companies is quite decent. When it comes to smaller or more obscure accounts, there is far less data. My research has shown me that DiscoverOrg is one of the best in the industry, so the reality seems to be that this is about as good as they can get for the time being. It seems that they continue to acquire other companies, so hopefully their data gets strengthened over time. Again, my research has shown that it seems to be best in industry. The lack of accounts, I'd really prefer more security contacts, as that is the main industry I sell to. They need to build out their accounts and contacts more. Additionally, it is often difficult to sync with Salesforce. Many times it works correctly. Some of their features like "opp finder" or whatever they call it don't seem to be overly useful, and it's a bit unclear as to how to use. Overall I think they are trying to have good additional features and tools beyond simply providing phone and emails, however I haven't found much value from those to this point. Go for it! A solid tool as long as it fits into your budget. Finding contacts. It's great because I'm able to import phone numbers and emails directly into Salesforce, which can be a very slick workflow. Really the key benefit here vs Linked In sales navigator is that it provides the phone numbers. It's quite easy to guess emails without this tool, although the phone numbers are really the key here. What I like best about DiscoverOrg is that it is versatile. If you want to get creative to dins potential clients, this helps you reach that untapped market. What I dislike about DiscoverOrg is that the contact information isn't always up to date. The exporting tools are are lagging quite a bit and sometimes I have issues. DiscoverOrg needs to be updated more frequently. A good amount of the contacts aren't in their same roles or they are bad e-mails. Keeping up-to-date would help a lot and make the money more worth while. Also, what needs to be improved is downloading prospects from DiscoverOrg from Outreach. I get quite a bit of errors where they won't reach over and I have to redo the. OR if they do transfer over to Outreach, DiscoverOrg won't deselect all the "sleected and imported" contacts and I have to manually do it. We are trying to reach prospective clients that need help with data analytics and business intelligence. "Just Give Me the Contacts. And Make their Contact Info Accurate." Decent tool for helping you find companies, not contacts. Contact Data Availability is bad. I like the fact that if you were blocked from every other website on the internet, but you had DiscoverOrg, you'd be able to do your job just alright. If my job required me to differentiate between different departments and use org chart hierarchies, this would be a good tool. Except kind of it wouldn't, because the org charts aren't accurate. ListMatch is helpful because it allows you to upload a bunch of accounts at once. Not sure if others like ZoomInfo allow you to do that. Very bad contact info. No direct dials. ZoomInfo is much better at delivery the goods for sales, and giving you accurate contact info much faster and easier. I don't like how long the training took. Why should I have to take 5 hours out of my day just to complete the training for a tool like this? Why should I have to then take a 90 minute test that? Seems like a very inappropriate amount of time. Make sure you don't just need contacts. This is the worst investment you can make if that's the case. Currently it is helping me add contacts to my accounts in SalesForce en masse – unfortunately the contact info is usually wrong. It is also helping me understand which technologies companies are using, which is helping me to understand my approach when talking to new accounts. I'm using LinkedIn Sales Navigator to find the right accounts to target. I like that you can see the hierarchy of the organization & who reports to who. Usually I find that that information is correct. The contact information is also extremely accurate. Sometimes it seems outdated because it'll list people that are no longer with the company, or vice versa, it won't include people who've just joined in the last several months. Updating org charts more regularly. If you can get cell phone #s that would be even better!! I use another product for that. I'm able to prospect better within each of my accounts because I can identify relevant stakeholders in an organization. I use a few other products as well, but I always reference discoverorg before I call a prospect whether it's to get a phone number or double check that a person's email is correct. I would say at least 50% of the prospects I've successfully brought to my company are generated from DiscoverOrg. "Great source for information about prospects and lead generation"
DiscoverOrg provides a two fold approach to my organization. It allows us to garner prospects in the industries that we are most focused on as well as provides us with a constant and updated source to keep our organization's database up to date. It's an excellent tool. I dislike that it does not allow us to select persons who have applied for GDPR opt-out and I hope that this feature is available in the future. Make sure that you have solid compliance configurations in place especially in regards to additional verification. At present, your DPO needs to really review the lists and make sure that they make sense. Our biggest issue has been being able to garner new contacts across a wide spectrum. As such, this tool has allowed us to really begin a continued discovery opportunity and to work with others in a large scale to make our efforts easier to accomplish and more palatable. "Fuel for a Sales Machine "
If you want the best product available, choose DiscoverOrg. This is a simple and robust system that is very much needed in today's market. DiscoverOrg will allow your team to drive deep into prospecting providing a competitive edge by understanding more about your targets. Creating more value, Educate yourself prior to making cold calls/emails to increase your ROI. "A necessary tool for all BDRs"
I really love the organization of the interface. It is very easy to see all of the different information because it is easily laid out for you in the different tabs. The org charts for companies are really helpful for knowing the organization of the company and the scoops are great for gaining quick insights on what is happening within the business. I dislike that many times, the direct line for the person I am trying to call is not available. Having to go through a switchboard can be really frustrating because you can get bounced around a lot and having a direct line would be a lot easier in making contact with the people you want to. If you are having trouble finding contacts for the company you are prospecting, this is the right website for you to use. Creating leads through cold calling and using DiscoverOrg to find the correct people to come in contact with to make this possible. What I love best about DiscoverOrg is the easy accessibility to the information provided. I use DiscoverOrg to help with my research into the company as well as the personnel. One of my favorite aspects is the DiscoverOrg plugin which I use every day, whether it's for work or for my own curiosity of learning. 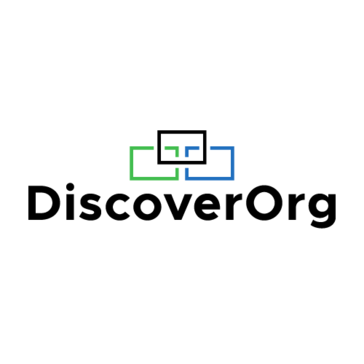 Although there isn't much I dislike about DiscoverOrg, one thing that I wish could be more insightful would be the ability to share more information such as a breakdown of the individuals working within a company, but I completely understand how that isn't accessible to the free user. As an SDR Intern, my responsibility is building accounts and researching business to gain an upper hand in reaching out to them. I use DiscoverOrg to do just that. I'm solving the problems being clueless as DiscoverOrg provides me the ability to be well informed of a businesses market, personnel, recent scoops, and technology used. I love the news feed feature that allows you to receive company alerts and updates about trends in your industry. It makes it easy to know good talking tracks with companies. I don't like that how my account is setup I'm not able to view all contacts in all departments. Sometimes my contact person falls outside of the departments we have in our accounts so it'd be nice to have an open view of everything. I'm able to quickly dive into accounts with proper contacts as before I was running into a lot of old contacts in our Salesforce system. It would take me endless hours to get into accounts via Linkedin so this tool helps with my efficiency. My major benefit is being able to solve time and get through accounts quickly. We enjoyed our onboarding, the knowledgeable sales rep that we had and the accuracy of the datasets. Only gripe was once you told DOrg we were terminating and will not be renewing - they turned off our team's ability to export contacts even if you have time left on your contract (this is a fine print in the hyperlinked EULA they hide in the contact). Make sure to red line that out. We looked at DOrg to start our outbound sale campaigns. I've had some issues with spam reports - however, DO has helped me figure out how to overcome them. Their team is so responsive that I'm not left out to dry waiting on an answer. It would also be nice if they could allow multiple users under one account so that the saved searches are viewable for everyone. We use it to find leads that are specifically looking for our services. This includes people in certain company roles, scoops on companies with specific needs, etc. "Best Sales BI Tool I've Used"
DiscoverOrg takes prospecting to the next level with its advanced filtering options. You're able to set customary subscriptions to virtually anything that changes within in an organization you're sought after - including their own industry scoops provided by their stellar research team. If you work on an outbound team that is limited in lead generation resources or don't have a strong re-marketing program, this is a great way to get insight into initiatives you'd otherwise never know about within an organization. In addition, if you report an error - their team will open a ticket and go through great lengths to ensure company information is accurate - they will update you, and even sometimes let you know where this contact has moved on to. Now That's IN SANE! I don't like that you need to use list syncing to know your accounts being worked. I wish there was a way where it would know that an account already exists within our CRM that is assigned to a user. Additionally, based on what would be left over - being able to check off accounts that I've already touched and not see them anymore. You should certainly consider if you're in the market for tools like Zoom Info, Sales Nav, etc. We are solving sales outreach issues where we have little internal data about the companies we're going after. In addition, DiscoverOrg updates its database in real time - versus LinkedIn that relies on the end user to update their career changes. They will always have intel on when employees leave even before their last day, and will also update on hiring initiatives which is a huge indicator if the decision-making department is making strategic hires connected to your product offering. It has so many amazing features. It makes my life and job stress free. I enjoy the scoops feature. It is above and beyond any other tool I have used. The organizational charts are also very helpful so you know how to get to the right person instead of going through gatekeepers. Discover org is the best tool on the market. I love discover org it is the best I love it. "Quick and easy way to find the necessary IT contacts"
A lot of data on most customers. This gives a great way to target specific people and let marketing get more people to market to as well. Nice to get a corporate hierarchy for companys with subsidiaries. Makes finding which territory they go into easy. We use DiscoverOrg as our source of truth for company employee size which determines which team the company falls to. Scoops is a very valuable tool that appears to be pretty accurate. Maybe slightly delayed in reporting, but compared to other tools with a similar feature Scoops is in a league of its own. Some of the contact info is outdated. You will choose 15 people within a department and on average 4 or 5 of the emails will bounce back. Most are due to the fact they no longer work for the company. This is to be expected with any search tool of this size, so really not a big problem. Not much else I would complain about at this time. This helps give final say as to where a company is headquartered and how many employees they have. We use these metrics to divide our sales territories internally. We are new to utilizing scoops, but they appear to have great potential on giving us a heads up to new projects our prospects are about to engage in. The transparency DiscoverOrg offers into the organizations we're speaking with is vital to our team's success. We're able to not only receive contact information but establish the hierarchy and get an insight into what matters to them via Scoops and OpAlerts. This helps to make our outreach personable and actionable. While the information is usually accurate, there can be some issues getting phone numbers precisely correct. That being said, the team at DO is always happy to research and correct any incorrect or outdated info very quickly. I would recommend investing the time and effort with the implementation team to establish your knowledge base and fully implement the product to it's fullest potential. The information I gleaned from proceeding through the full breadth of the training was invaluable, and it allowed me to use the platform to uncover accurate, actionable, and insightful information that enabled me to provide maximum value to my team. 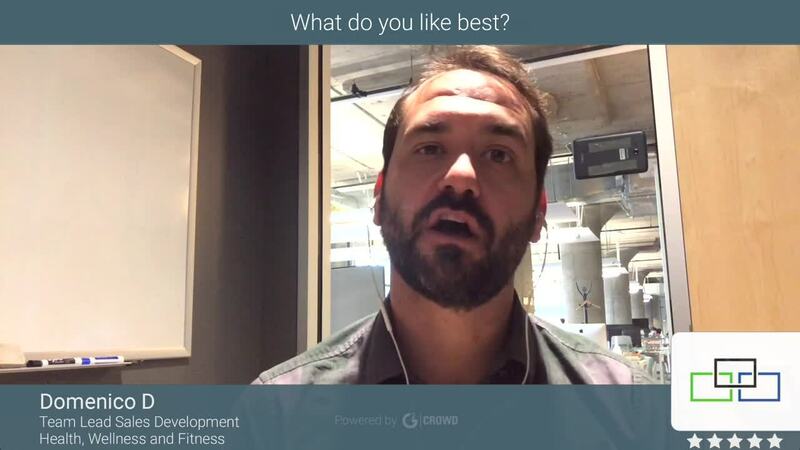 You only get as much out of any tool as you put in, and your time investment with DO will be richly rewarded with better outreach, more insightful discussions with your prospects, more meetings, and more revenue. Much as I mentioned above, DO helps us refine our outreach. This saves us from sending well crafted and researched content to half guessed email addresses, rendering the effort we put in entirely useless. I spend far less time on hold, navigating archaic phone trees only to leave a voicemail. It's a godsend. "Awesome sales prospecting tool "
DiscoverOrg has been a very valuable tool to identify accounts to reach out to in regards to our platform. Additionally, DiscoverOrg provides valuable insights into key individuals at these companies, their contact information, organizational charts as well as technologies that they already have in place. Occasionally, the information provided in DiscoverOrg is outdated, inaccurate or somewhat lacking. However, the nice part about this is being able to request that their internal team takes a look into whatever I believe to be inaccurate and they are quick (typically within 24 hours) to notify me of the request and any changes to it. This is very valuable as it gives me back time in my day to prioritize other activities. DiscoverOrg is a very valuable tool as an individual sales rep that has certainly helped me in my BDR/SDR role and now as an Account Executive. By using DiscoverOrg we are solving the ability to identify key accounts/companies, individuals at the companies to speak with about our platform as well as their contact information. DiscoverOrg has allowed me to focus on my selling activities. DiscoverOrg has the most accurate data across the board from the tools I have used in my career. The only feature I have noticed is a lack of the ability to build lead lists with corporate Hierarchy built in. For example, I manage a territory and our organization maps accounts based on the ultimate corporate hierarchy. Meaning a lead in my territory may actually roll to an account that has a parent outside of my territory. This would not be my lead to work but would go to whatever rep covers the ultimate parent account. This is pretty common sales rules of engagement. Discoverorg can map hierarchy on accounts, just not lead views. This has been the only thing the platform seems to lack after using it for 60 days. Fantastic product! DiscoverOrg helps us go after accounts that we would spend forever building out manually. Like, months at best. "A great platform for finding leads and great intelligence however the phone numbers are run down "
The Org charts are great for targeting, especially for ABM. You can find the right targets and upload them into your CRM in minutes. They also have emails that are verified so there is no wondering whether or not the email will actually send out to the prospect. Also the scoops can be very informative and lead you to where the prospects pain is. I am assuming a whole lot of businesses use Discover.org to call their prospects because it's becoming tougher and tougher to reach actual prospects with more numbers ringing twice and then going to voicemail. Also a lot of the data is cut off depending on what you purchase, there is always a feeling that the person you need to reach is in a section of data that isn't made available. I would see whether you want to do dial heavy cadences, if so then getting phone numbers may not be the best usecase for the product. The intelligence and org charts are where the value lies. Finding who does what in an organization is easier than before and finding messaging based on their information is efficient as well. "Useful but a few limitations"
Overall ease of use and ability to navigate and learn about companies. I also find the scoops to be useful at times although it would be nice to have an option to filter them. The amount of contact data is strong and the ability to import account level and contact level data right into CRM is great. I find responses from DiscoverOrg to be quick when bad data is spotted. The hierarchy/org charts tend to be pretty inaccurate and outdated. Additionally, I sometimes find that there are people not in the employees section who should be or who are easy to find on LI and company website. This isn't uncommon with other providers, either, and most of the time I can find the right folks. The list building feature can be a little challenging and often returns too many results when you have a very specific niche market with titles that have high variability -- which is the norm in today's organizations. Can spend a lot of time weeding through the wrong people. Can be useful and likely offers even more value (than I receive) for certain industries, etc. I can quickly find information and use it to support sales calls and prospecting efforts. I like the scoops section the best. It gives you insight that you can't find anywhere else. You can also run detailed reports and get a very specific list together for prospecting. The only thing I don't like is that you cannot mark contacts that you have reached out to already, so I export lists and keep an excel file that I reference so I don't end up emailing the same people over and over again. Our company doesn't give us permissions to send to our CRM so we don't have another way to keep track. Prospecting leads is the number one thing I use this for. I have also used it to figure out hierarchy in a company. The most helpful are the scoops, one time I was prospecting a company and realized that they just filed bankruptcy...if I didn't have this information I would have wasted a lot of time. "Great tool fro prospecting "
The ability to send contacts straight into the CRM. The data is valuable and that really helps keep our CRM clean. I do like the request research button as well. although, I was not made aware of it until we received more formal training from a CSM. This is the first time that I have wokredi nan org where a CSM was so willing to show new tools and really. We work in a commercial/mid-market space and some companies are not in the database. However, we have the ability to send requests too. Thethe small widget that runs on the website is also sometimes hard to pull up because it will not appear on the main screen until you reach the very bottom of the page. I know that the projects is expanding and I am excited to see whats next. "Amazing Resource. Accuracy of information better than most!" Ease of use. Multiple tabulations for saved searches and accessible support. Allows to make corrections. List export is also very useful whereas other platforms do not have that capability. Trustworthy and clear indication using the org structure feature. Limitation of Canadian data and information. No Mobile app (at least I have not been made aware of it). I would ease the new users into the platform by showing options of how to integrate with social media platforms like LinkedIn. It becomes and indispensable tool when generating leads and verifying accuracy of the information available. Breakdown of different technology users with at least 80% accuracy.Search by region and technologies is a BIG PLUS and of course, a benefit. "Has been a great tool so far!" The ease of use and validity of the data provided. Everything is packaged in an easy-to-use way. Once you get the initial training, it is pretty easy to get it up and running. I have several prospects in SFDC whose companies are recognized by DiscoverOrg. Many of them hold C level positions, however, they aren't listed in DiscoverOrgs Org Charts. Decide if the investment is worth it. Do you have the right reps to properly implement the solution and receive the anticipated ROI? We are expanding into Enterprise markets and DiscoverOrg helps us leverage potential buying decisions and realizing areas where we can help. We don't sound like just another cold call because we have targeted research and information pertaining to the specific prospects/companies. Fantastic network, giving me access to at minimum a database of companies in the field I am recruiting for.I really like the vast amount of emails that are provided along with the connection to the company and person's linkedin. The amount of leads that I have gathered post/pre Discover Org has been extensive. Wish there was more info on lower level employees. More direct. If we could connect to more CRM's like PCR that would be great. Some C-level direct are not truely direct, but understandable. More information on job postings would be great. Zoom info purchase was huge. Company lists and C-Level execs. Prior to this I had to spend a great amount of time just finding a company name in the field/location that I was interested in. Now I have it all at hand. * We monitor all DiscoverOrg reviews to prevent fraudulent reviews and keep review quality high. We do not post reviews by company employees or direct competitors. Validated reviews require the user to submit a screenshot of the product containing their user ID, in order to verify a user is an actual user of the product. Hi there! Are you looking to implement a solution like DiscoverOrg?